Most people get the gist of word of mouth, but don’t realize how many marketing channels play into it. So here are a few word of mouth marketing examples. Basic word of mouth marketing relies on one person talking to another about a product. In most cases, word of mouth campaigns, as such, are fundamentally free and occur frequently as people naturally talk. With that being said, there are ways to further inspire conversation, as you’ll see with these word of mouth marketing examples. There are many channels to increase your word of mouth. What’s important is picking the best way for your business. 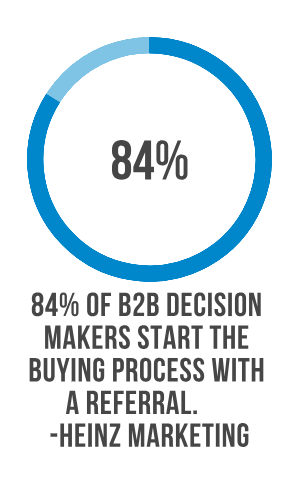 Some businesses choose to implement a variety of channels, while others focus on creating an in-depth one. It all depends on what outcome is being sought. For example, a business may choose both a referral program and a partner program, to accomplish two different things. Many types of word of mouth marketing, don’t allow for as much structure or control on the business’ end, like a rewards program run by referral or rewards program software. But are a great resource, regardless. For example, reviews and testimonials work for almost any business out there and are an excellent way to generate word of mouth. But, a business has very little control over what someone will say about them online. People who have a high blog or social media following. Let’s do a quick overview of a few word of mouth marketing examples. Who The most common referral programs are for customers & employees. Non-competing businesses, who may share similar customers. People who have influence over potential buyers. People who have a high blog or social media following. Those who have first-hand experience with your product/service. What Refer people they personally know Refer their customers who need a service like yours. Influence their fans to like the same things as them. Promote specific items and brands to their followers Provide feedback on specific software, services, and products. Where In person, social sites, text, email. On their website, email, in person. Social sites, in person, video. Blogs, social sites, video. Review platforms, social sites. If you want to skip ahead, feel free. Let’s dig in a break down each type of channel. When you design a referral program, you need to consider the advocate’s journey, as well as the referral. As mentioned, no one wants to be signed up for something, without their permission. So, offering the referral the choice to join is a good idea. This can be accomplished by providing advocates with a referral link to share. Businesses who are looking for high-quality leads. 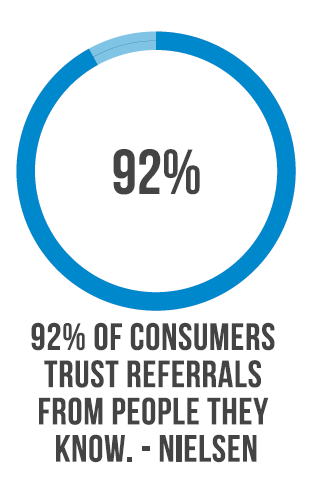 Referrals are built on trust, and they are personally known by the referrer. Therefore, referral marketing may not produce as many referrals, but the ones that it does produce are better since they are a direct/personal lead. Evernote the desktop note-taking app. Allows anyone who is signed up (with any plan) the option to share. As soon as the user signs into their account, the option to share will appear in their drop-down menu. 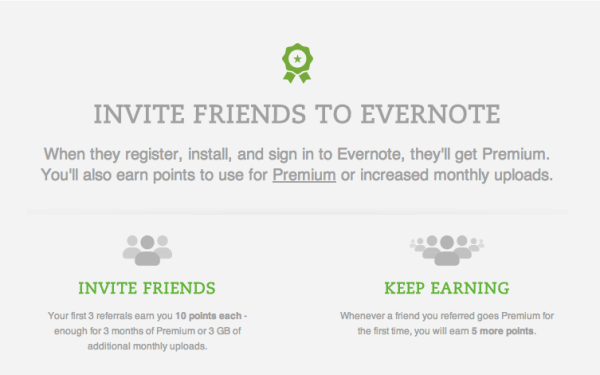 Evernote uses a double-sided referral reward. This further incentivizes both parties to participate and provides an extra push for word of mouth to happen. 1: Make it easy for both the user and the friend to join and participate. 2: Make the program easy to find. A great referral program promotion strategy means your program is easy to see. 3: Make yourself shareable. Most referral program software will allow a variety of sharing options. 4: Give the end user the option. Meaning, avoid having the customer auto enroll friends without their knowledge. Make sure the referral is given the option to participate or not. View our referral marketing guide to learn even more. Partner programs can be a great growth strategy. A channel partner can help you boost sales as well as give you access to other markets that you might not reach on your own. Many partner programs are actually run by referral software. The main difference is the referrer is not a customer but rather a partner business. The terminology is usually a bit different as well. In partner program, you may hear the word ‘finder’s fees’. A partner channel makes sense for businesses who have similar, but not competing customers. A partner may distribute a good or service that can benefit your customers as well. You might create a program so that you can sell your products through your partner. A partner program is great for gaining access to client networks that would otherwise be difficult to tap into. TechSmith’s partner network offers a few options for collaboration. They partner with all size businesses, which allows everyone to build up relationships and scale their business. 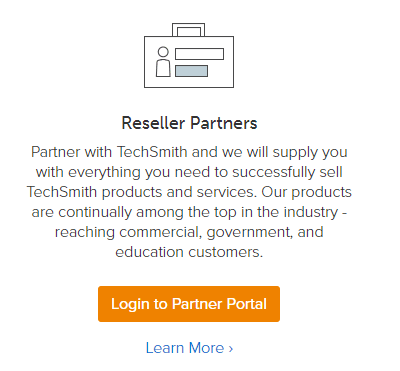 Their reseller partners are supplied with everything they need to sell TechSmith products and services. They also offer an affiliate program that we’ll discuss later on. 1: Provide a service that benefits a variety of businesses. 2: Find a business that has similar customers, and that could be a good fit as a partner. 3: Offer an incentive for partnering. Could be a finder’s fee, discounted services, or a different partner incentive that makes sense for your business. Influencer marketing is another way of increasing word of mouth. Some would say this type of marketing is the modern day word of mouth marketing and focuses heavily on brand awareness. It, however, works best when celebrities, advocates, or top internet famous individuals are involved. So you can imagine, the reach is pretty impressive. With that being said… It can be difficult to track the effectiveness of an influencer program because the brand can’t entirely correlate a sale to an influencer. Instead, they usually look at things like post engagement. Brands who are looking for a quick way to get a buzz. It’s great for getting out there in front of many people, though it doesn’t necessarily mean it’s getting placed in front of good fitting leads. Nike is a big brand, and aside from being a great product, it’s been backed up by several celebrity endorsements. From NBA players, fitness gurus, to famous musicians. Because these people are in the public eye, they easily influence their fan base in purchasing products they enjoy, like Nike. You may see several endorsements on Instagram. Aside from the famous, Nike has a large variety of influencers. Where top social media users show off their Nike merch. The caveat, influencers need a pretty large following to be considered. 1: Have a great product. You have to have a product that an influencer is going to want to use and promote. 2: Find an influencer that likes your product and that has a good following. Brands look at how many social followers they have and correlate that with how much traffic that influencer can potentially bring to them. 3: Have said influencer promote your product. 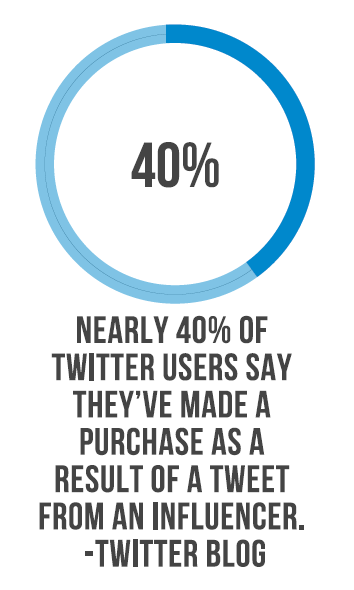 Typically, this creates a buzz for the product and gets people to purchase. 4: Provide compensation. Influencers may really like your product, but it doesn’t mean they are going to freely advertise it for you. 5: Try an influencer marketing software. Word of mouth travels many ways. 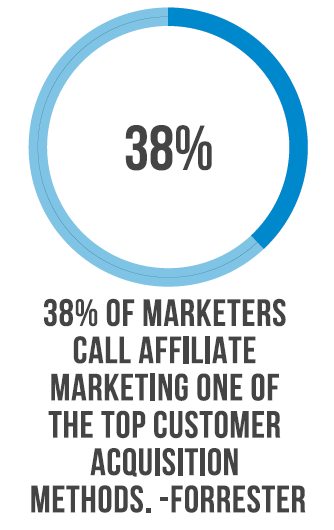 Affiliate marketing is one of the more common ways. This type of marketing is similar to referral marketing in that it places a focus on new customer acquisition. The difference is, the audience reach is expanded and promoted to everyone who lands on the affiliate site (even if they are not a good fit). Brands who want to advertise specific products on popular blogging channels and other mediums. Affiliate links are used to promote a single product, rather than the brand’s entirety. TechSmith offers a pretty great affiliate program as well. Affiliates get to promote Snagit and Camtasia, two of their more popular tools. With this program, affiliates can earn 15% commision per sale made through their affiliate link. 1: Find partners who are in your niche. 3: Compensate for effective word of mouth. Reviews create digital word of mouth, all on their own. Though many businesses send links to the customer asking for their feedback, customers, often times, will write a review willingly on their own. This, however, doesn’t always shine a positive light on a business. It also doesn’t offer the business as much control as the other types of word of mouth marketing. Many review and reputation management platforms help not only keep a brand’s reputation afloat, but they also provide good word of mouth marketing too. Any business. No matter what service or product you supply, leads will turn to review sites to find which brand best suits them. 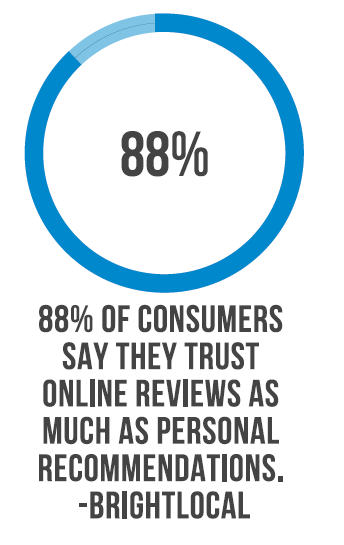 In fact, 90% of consumers read online reviews before visiting a business. G2 Crowd is one of the many review platforms on the web. They provide real user insight to thousands of different software and service businesses. 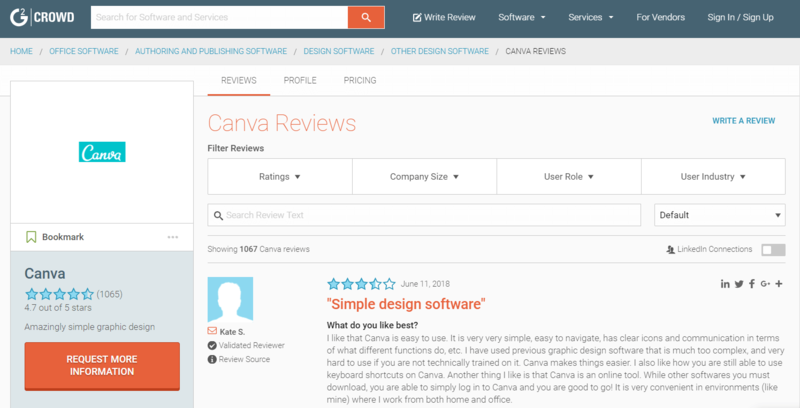 Like most other platforms, any user can join and write a review. Any business (as long as it fits their software/service theme) can create a profile to start receiving word of mouth reviews. 2: Create a profile on the review platform. 3: Share your profile with current customers to start building up your reviews. 4: Be sure to check in periodically, because, you’ll want to respond to less than favorable reviews. 5: Share some of your good reviews and testimonials on your website and social sites. Businesses of all scale use word of mouth marketing to build up their brand awareness. Regardless of how a brand chooses to build their word of mouth, yet, one thing is certain… Word of mouth relies on a good product and service. The type of program can only be used as a channel for word of mouth if it has a good foundation to rely on.